Bright Ideas for Your Outdoor Spaces | With our comprehensive understanding of energy and control systems, and over 30 years of experience designing and installing LED landscape lighting systems, we guarantee you’ll be delighted with the new look of your property. 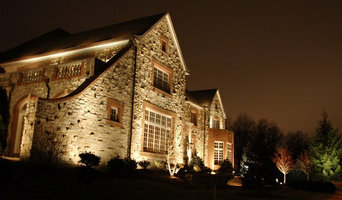 Homeowners in Cincinnati who want creative, unique, and dramatic low-voltage LED outdoor lighting invariably wind up at Advanced Outdoor Lighting, a premier outdoor lighting specialist for the Tri-State Area. 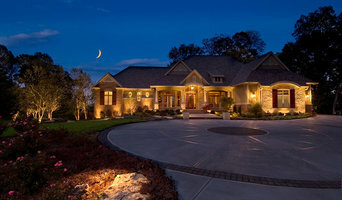 The talented and skilled design staff and technical team at Advanced Outdoor Lighting has the ability to add a variety of outdoor lights to complement the exterior of a home, using both custom-designed LED lighting and home lighting solutions to help illuminate gardens, landscaping, decks, pathways or even the exterior of a home. Advanced Outdoor Lighting has embraced new lighting technologies such as LEDs (Light Emitting Diodes), which enable them to design an aesthetically gorgeous and safe home lighting system from a variety of bulb form lights or integral fixture lights. LED outdoor lighting systems are increasingly popular with homeowners because of their instant-on, no flicker or buzz functions, and because they can provide an immediate reduction of power consumption that shows up as significantly lower utility bills. LED lights also have a long lifespan and lower replacement and maintenance costs. Using LEDs to light a home can provide a crisp, clean light that enhances visual appeal. In addition to designing LED lighting and home lighting, Advanced Outdoor Lighting can also provide a full array of lighting repair services, including replacing fixtures, repairing cut wires, checking voltages and fixtures with meters, and resetting timers. 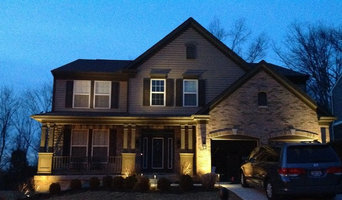 For more information on outdoor lighting installations, deck lighting and landscape lighting, LED lighting and outdoor lighting repair, call the professional, talented design team and technicians at Advanced Outdoor Lighting at (859) 283-5483 for a free quote. As we extend our living spaces to include outdoor rooms, it seems natural to want outdoor audio and visual systems. Sound system professionals in Forest Park, OH can install state-of-the-art wireless weather-resistant music systems anywhere you want to add music to the mix. What services do Forest Park outdoor audio and visual system professionals provide? Home theaters are moving outdoors, too. Sports fans can grill without missing the game, and families can invite neighborhood friends over for movie nights. Special weatherized flat-screen TVs are coated to minimize glare. Imagine your Forest Park, OH backyard with a custom-designed outdoor theater system — complete with a large projection screen. It makes backyard entertaining easy. Find outdoor audio and visual system professionals on Houzz. Look in Houzz’s Professionals section to find Forest Park, OH outdoor audio and visual system experts. Narrow your search to the nearest city or metro area for a list of nearby businesses. Get contact information, read reviews and look at completed Ohio custom outdoor sound system projects.